Depending on where your business falls in that small/very small range determines when your company has to comply with FSMA. Note: compliance includes one year of previous records in place; meaning small pet food manufacturers need to start their records now and very small manufacturers have until summer of 2017 to begin record keeping under FSMA guidelines. Renewing focus safety of imported foods and ensuring they meet US food safety standards. In 2016, FDA will begin enforcement of their Current Good Manufacturing Practices (CGMPs), and by September 2017, large pet food makers will have completed a full safety hazard analysis, regardless of whether those hazards could occur naturally or unintentionally, and will establish preventive controls to mitigate those hazards. Small and very small pet food makers will be expected to follow suit over the ensuing two years. It is estimated that is will cost small and medium facilities $18-35,000 to implement FSMA. Each manufacturer can spend the money and the time to have an already overworked staff member trained in the compliance measures, or pay an outside agency. Alternatively, NGPFMA intends to complete FSMA training then, in turn, help each one of the association members. 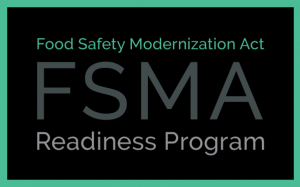 FSMA training will be completed this fall in order to help your companies with preparations. This is a great value added for our members – helping small/very small manufacturer companies reduce the costs and headaches attached to this regulation.